UC San Diego Medical Center in Hillcrest was named a “2018 Top Teaching Hospital” by The Leapfrog Group. Highlighting its nationally recognized achievements in patient safety and quality, UC San Diego Medical Center in Hillcrest was named a "Top Teaching Hospital" by The Leapfrog Group. The award is widely acknowledged as one of the most competitive honors that a U.S. hospital can receive. The designation is awarded by The Leapfrog Group, an independent hospital watchdog organization. Performance across many areas of hospital care is considered in establishing the qualifications for the "Top Teaching Hospital" award, including low infection rates, exceptional maternity care and the hospital’s capacity to prevent medication errors. The rigorous standards are defined in the Top Hospital Methodology. 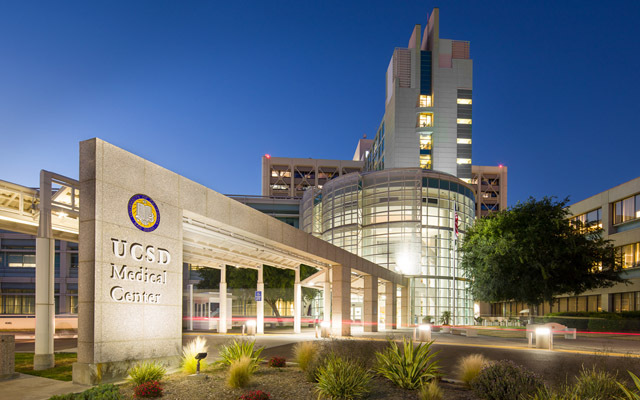 UC San Diego Medical Center in Hillcrest provides a number of key services to the region, such as an emergency department and a Level 1 Trauma Center, which includes the only Regional Burn Center. Other lifesaving resources include a Comprehensive Stroke Center, dialysis unit, neonatal intensive care unit, behavioral health care and the pioneering Owen Clinic for HIV/AIDS care. Cancer services are expanding in 2019. UC San Diego is currently engaging the community in discussions about how the Hillcrest campus will be recreated to best serve the needs of the community for decades and generations to come.